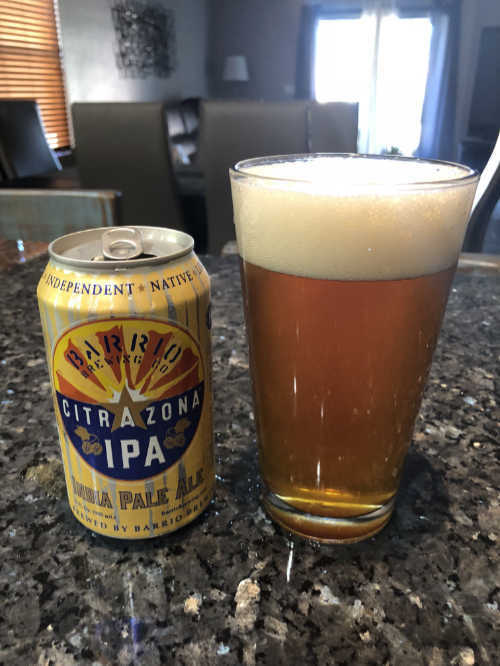 Citrizona IPA from Barrio Brewing in Tucson, Arizona is one from my home town. Like the can says, Local, Independent, and Native are all great descriptors. This is a coppery colored IPA with only a slight malt overtone. Just enough to compliment the hops that are in it. The can did not say so, but it is a 6.6% ABV so there is quite a bit of malt in this IPA. In the pour, I got a nice two finger head from the Citrizona IPA pour, which dissipated quickly. Each sip left some nice lacing though. There was the citrus flavors that were most forward and lots of the bitterness on the sides of the tongue. This beer has been around awhile so it is not the juicy IPA that many people are now tasting and I have seen a few reviews comparing the two, but it is just not the case. Barrio created this beer a long time ago. You can tell that the IBU profile is a nice 60 which lower than what you might expect coming from what you taste. The bitterness does linger for some time. This beer is part of my local collection. 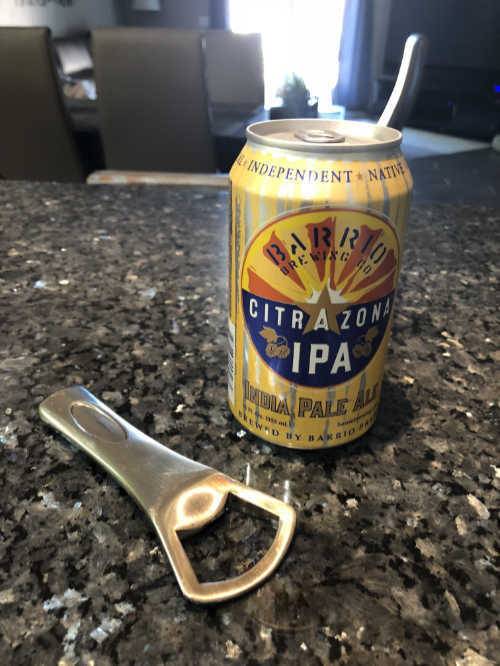 Barrio is a local favorite in Tucson and I would rate this beer a solid 3.9 because it does lack the punch that IPAs need, but it is nice enough to match what the name says. Lots of citrus and lingering hops. This entry was posted in Beer Reviews and tagged IPA, Local, Tucson.